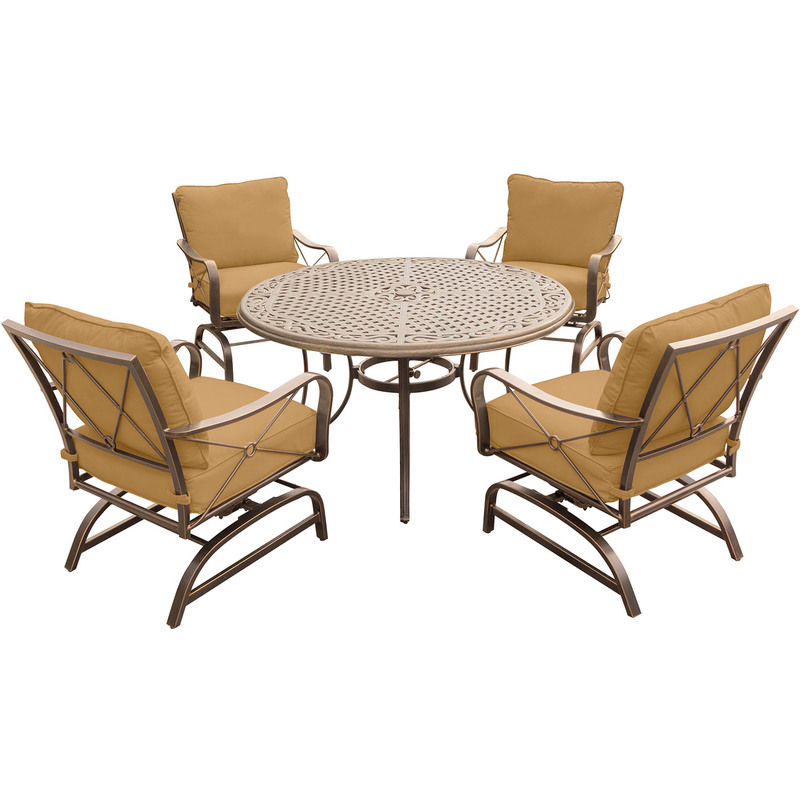 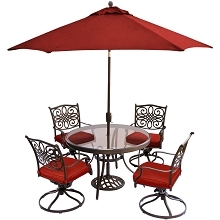 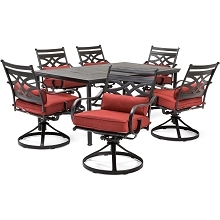 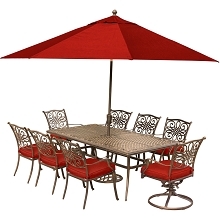 Create a backyard retreat with the Summer Nights 5-piece dining set by Hanover. 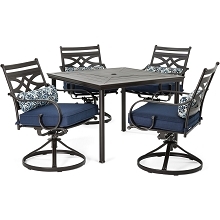 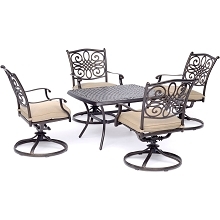 This deep-seating dining set is perfect for those who enjoy spending time outdoors. 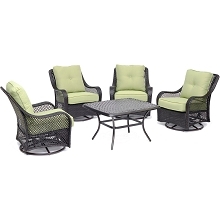 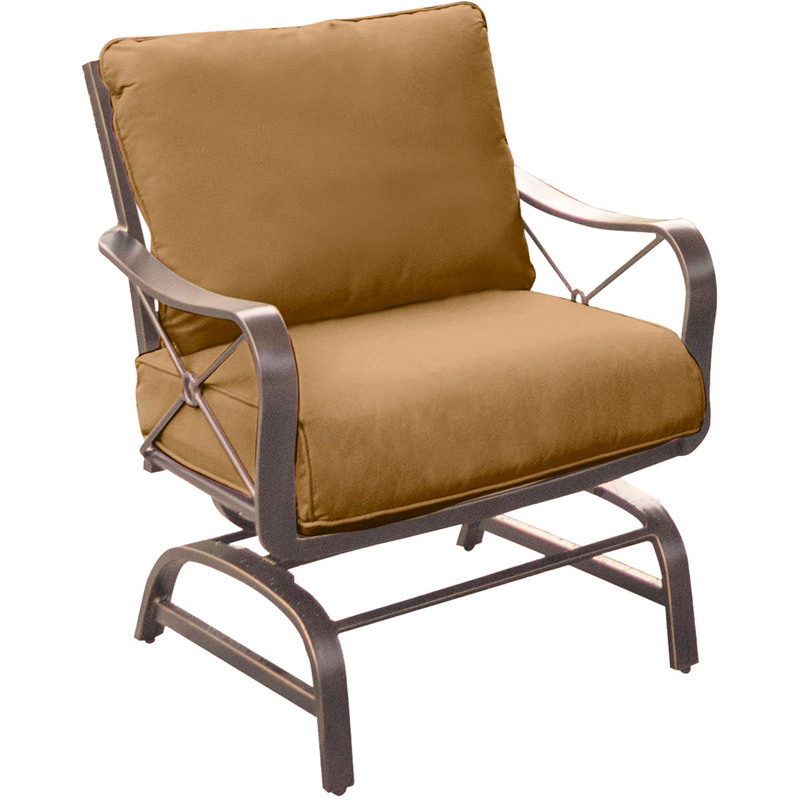 Your guests will truly enjoy rocking the night away on the comfortable action rockers with extra-plush cushioning. 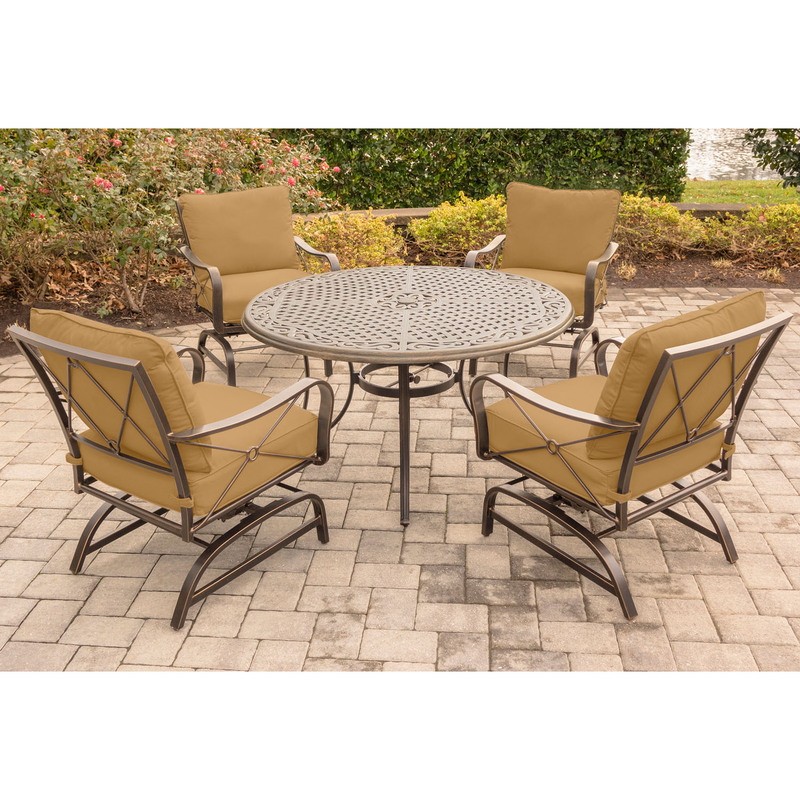 The thick foam cushions offer long-lasting comfort and are bound with premium outdoor fabric that repels moisture, stains and UV harm. 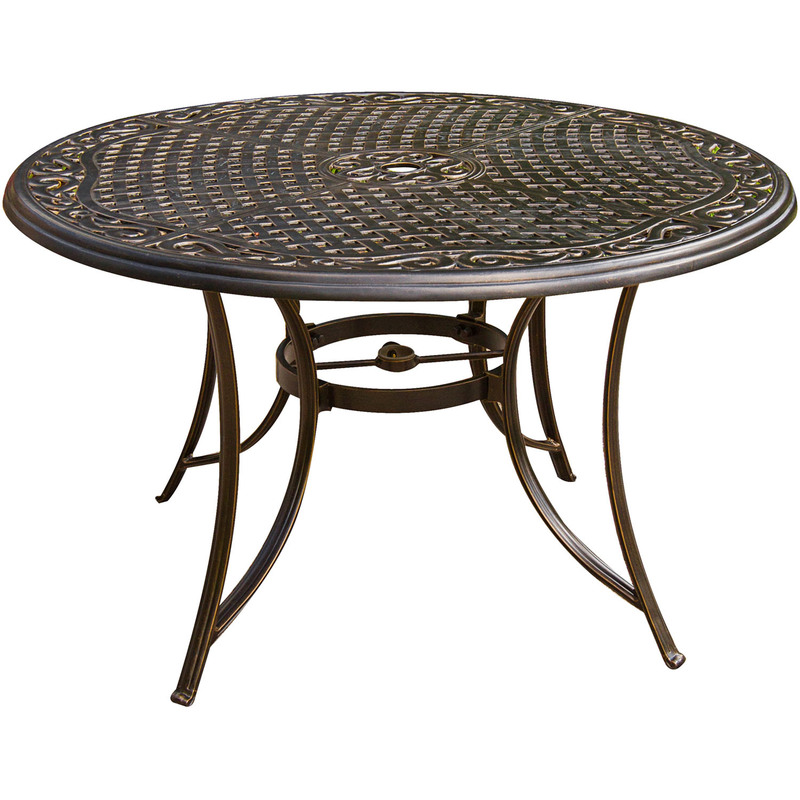 The round dining table features a 48 in. 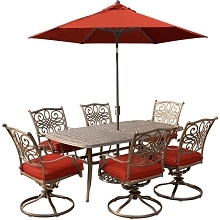 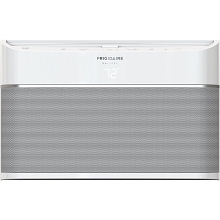 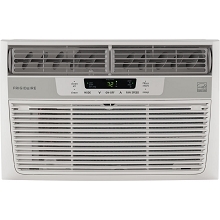 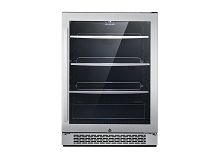 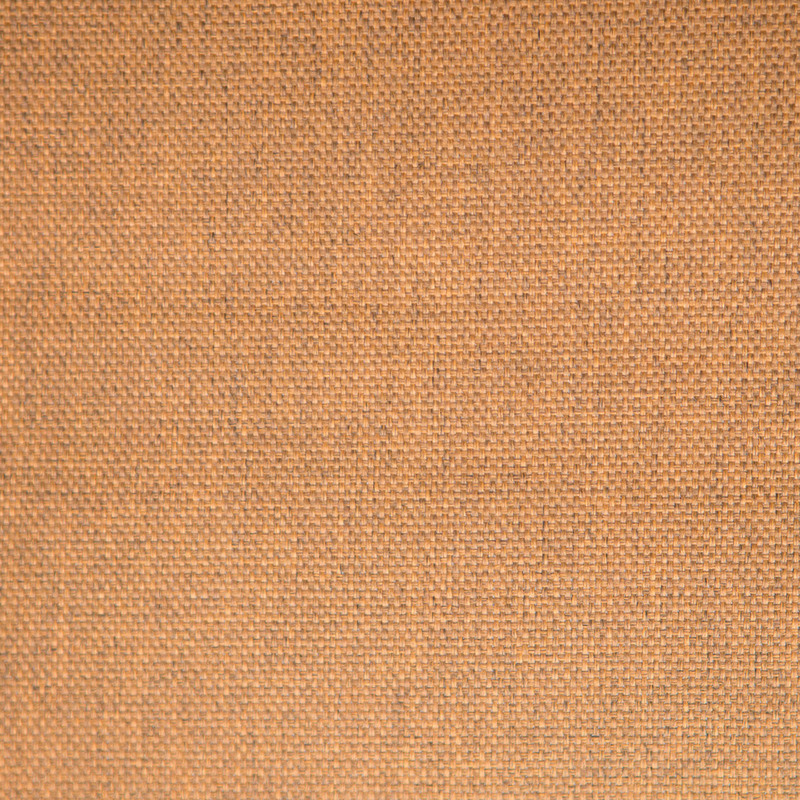 top with an open lattice weave and cast accents scrolling across the perimeter. 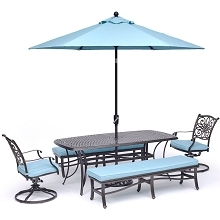 Designed for use throughout the year, the Summer Nights Collection will enhance your outdoor environment and delight your guests for many years to come.